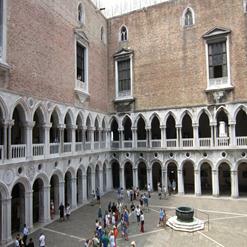 Located in St. Mark’s Square, the Correr Museum charts the history of Venice from the 13th to the 16th century with its rich and varied collections that include coins, prints, paintings, weapons and almost everything from medieval and Renaissance Venice. The museum’s building dates from the Napoleonic era when Venice was part of the Kingdom of Italy (1806-1814). There are some great pieces to see, including a host of works by the prolific Bellini family. Other important collections include Lorenzo Lotto’s Portrait, Antonello da Messina’s Pieta and Vittore Carpaccio’s Two Venetian Ladies.